There are literally hundreds of shades, shutters, and blinds on the market today. With so many products, brand names, and manufacturers it’s hard to weed through it all and find the right product for your home. Window treatments take a lot of abuse and undergo regular activity throughout the course of their lifetime. If you have pets and children, then your concerns are even greater. The average homeowner is not an expert on shades or shutters, and doesn’t prefer to geek out on such products, but, rather, just want a bottom line on what is best for them. So before you invest in window coverings that you may regret, consider the following guidelines below to help you on your way. No amount of store-bought window treatments on the market today can compare to the quality and precision that goes into custom built shutters, shades, or blinds. Products in a department store are mass-produced and have a limited selection. They often have an institutional look and a generic color that is somehow intended to cater to a wide variety of tastes and styles. For a slightly higher investment you can get exactly what you were looking for in the first place. Other than style and design, what truly distinguishes quality window treatments from low-quality is the sturdiness of all moving parts. If you’re purchasing standard shades, shutters, or blinds then it’s important to have a general understanding of how each works and what the most crucial components are. For instance, how is it opened? Is there a slide or a tug chords on the side? Are you getting motorized window coverings? How are the items mounted and what is the amount of weight they can withstand? What type of warranty comes with your product and how long are they supposed to last? Investing in high quality products will save you a lot of headache down the road. Not all window coverings are designed the same way and with the same purpose. While draperies are very stylish and accent any room with an elegant design, what really sets them apart is that they are impenetrable to light and sight. Wood woven shades also stand out. They are generally used in rooms where you want to create a natural, warm look. But the reason for this is that they are created to allow a certain amount of light. It’s a good idea to know exactly why you’re purchasing your window treatment before you purchase it. This will help narrow your search and fine tune your product. 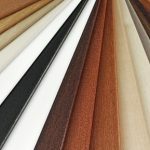 Understanding the purpose for your shades, shutters, or blinds will also determine whether you purchase products made from natural materials or if you’d rather go the composite route. Natural wood blinds or shutters are ideal for the homeowner who wants an authentic look with an elegant flair. Nothing beats hand-made natural shutters. 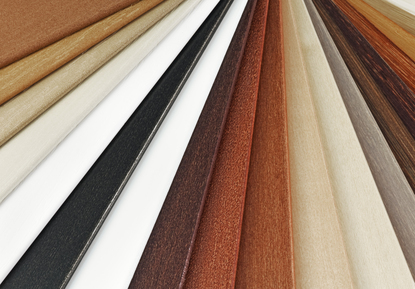 In recent years, however, products such as faux wood and Polycore have provide a great alternative to natural wood at a fraction of the cost and twice the durability. It’s a good idea to consult with a window professional in order to get the scoop on all the different types of materials available to you on the market today. For more information about quality window coverings in Orlando, FL, then please call 407-492-1009 or complete our online request form. Next PostNext Why Plantation Shutters is best choice for Orlando Homes?